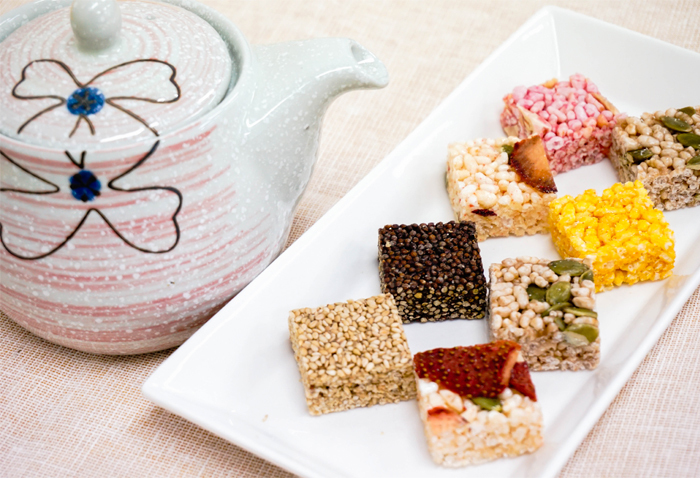 Typically served with tea as refreshments for special guests, Korea's traditional desserts are visually appealing with lovely colors and appearances. Moreover, they are healthy snacks made with nutritious ingredients like beans, rice flour, varied nuts and seeds, etc. In recent years, regional specialty desserts have also gained popularity among international tourists. A vast assortment of sweet and wholesome Korean traditional desserts offer unique treats to travelers in Korea and also makes great travel souvenirs. 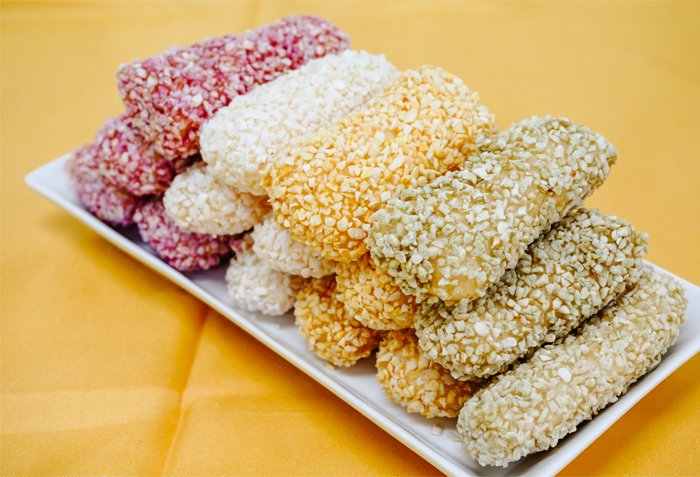 Gangjeong is a traditional confectionery that is often featured on special occasions such as ancestral rites or banquets. It is made by kneading glutinous rice flour with water, cutting the flattened dough into square slices then drying them in shade before they are deep-fried in oil and coated with honey and garnish. It can also be made without glutinous rice flour by hardening chunks of nuts or seeds using jocheong (grain syrup). In fact, gangjeong comes in many varieties depending on the type of ingredients used such as beans, sesame seeds, pine pollen, cinnamon, and more. Its sweet and savory taste is also enjoyed by people of all ages. 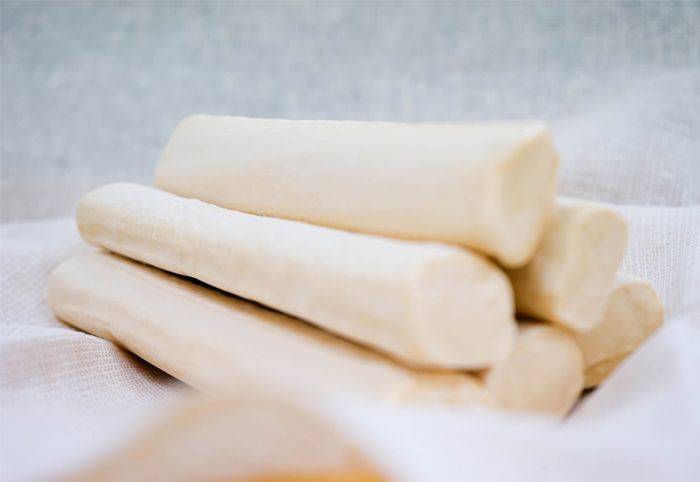 Tteok, or Korean rice cake, is made with grain flour, such as glutinous rice flour. It has been a Korean custom to prepare and eat tteok on ceremonial occasions like birthdays and weddings. There is a huge variety of tteok depending on ingredients added, method of cooking, shape, and region. Overall, tteok is characteristically chewy in texture. The most common and popular types of tteok include songpyeon, injeolmi, baekseolgi, and jeolpyeon. Songpyeon is made by stuffing the rice flour dough with honey, bean paste, chestnut, and other fillings, among which the honey filling is the most widely enjoyed for its sweet taste. 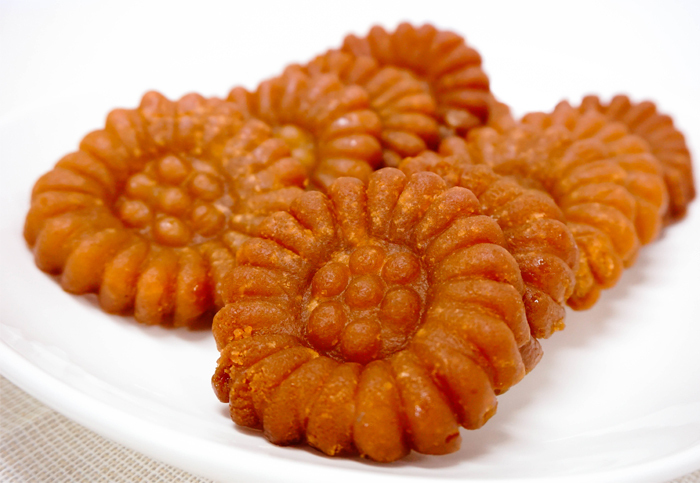 Injeolmi is made from glutinous rice and coated with bean powder. It is delightfully chewy and tasty. Meanwhile, jeolpyeon makes a great choice for those who prefer the less sweet option. 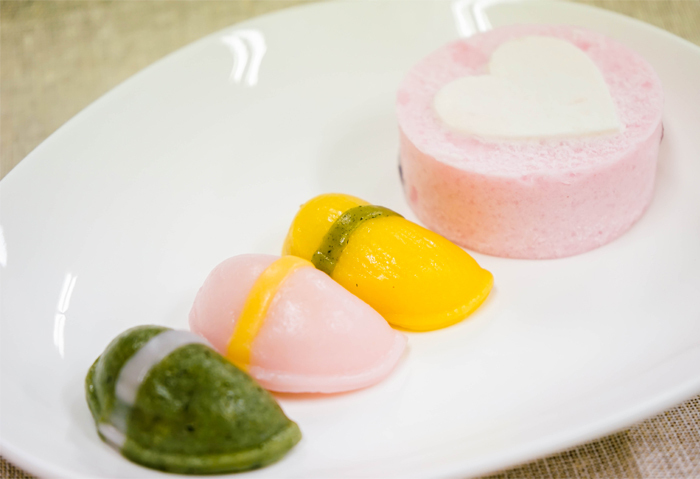 Recently, fusion varieties of tteok have become increasingly popular. Some well-known examples include western-style cakes made with tteok and chocolate covered glutinous rice pies known as chaltteok pie. Yugwa is made by mixing glutinous rice flour with liquor to make dough, then steaming and dividing the dough into smaller pieces before deep-frying in oil and coating them with jocheong (grain syrup) or honey. The crispy yugwa crumbles and melts in the mouth upon a bite. Also, it is moderately sweet and thus, anyone can enjoy it without getting tired of the taste. Yugwa is originally white, but natural ingredients such as mugwort, sweet pumpkin, and black rice are often used for variations in color. In the process of making yugwa, spices like ginger are also added to enhance flavor and aroma. Jeonggwa (sometimes spelled as jeongwa), is made by boiling fresh fruits, plant roots or seeds in honey. This cooking process removes the acidity of the fruits and prolongs storage life so that they can be consumed over a period of time. 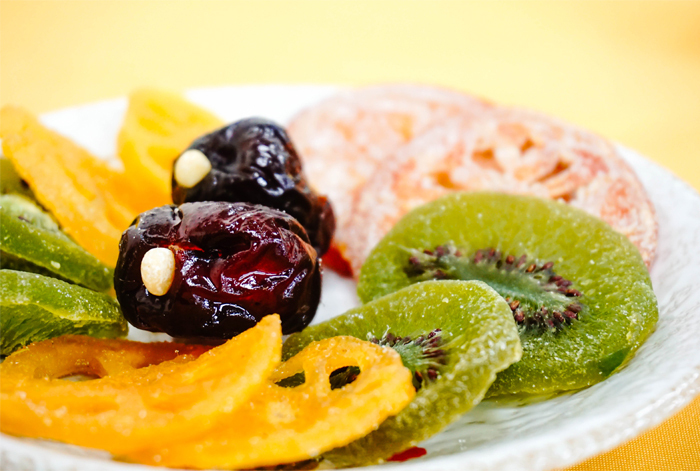 Thin-skinned fruits that are either firm in texture or rich in fiber, such as citron, quince, and apricot, are most commonly used to make jeonggwa. Meanwhile, ideal root plants for making this confection include lotus root, white radish, carrot, ginseng, balloon flower root, ginger, burdock, and more. 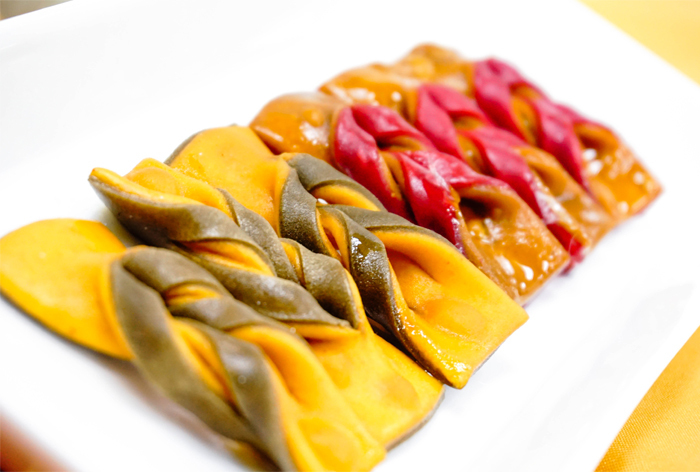 The best jeonggwas have vivid colors and a translucent look. When making yakgwa, wheat flour, sesame oil, honey, liquor, and ginger juice are mixed into dough and then fried in oil and dipped in honey. This deliciously sweet treat has a soft and moist texture. Yakgwa is classified into dae-yakgwa (large), jung-yakgwa (medium), and so-yakgwa (small) according to its size. In addition, the ones cut into squares are known as moyakgwa, while others pressed into molds are called dasikgwa. Yakgwa can easily be purchased at traditional markets or supermarkets. Maejakgwa, otherwise referred to as maeyeopgwa, is made by kneading wheat flour with ground ginger and then rolling the dough thin. The dough sheet is then cut into small rectangles and made into ribbon shapes before they are deep-fried in oil and coated with honey. The result is a wonderfully crisp confection with the luscious savor created by a blend of ginger and cinnamon flavors. Maejakgwa not only has a great taste but also a pleasant visual presentation, for which it has often been served as special refreshments to important guests since the old days. Ground pine nuts are sometimes sprinkled on top of the finished maejakgwa to add flavor. Yeot is a variety of Korean traditional confectionery made by fermenting starch-containing grains into malt and then boiling it for a long time. Yeot has a very sweet taste can be made in various forms from syrup-like liquids to a taffy or candy-like solid state (also known as gang-yeot) depending on the moisture content. The most famous types include oksusu-yeot (corn taffy) of Pyeongchang, hobak-yeot (pumpkin taffy) of Ulleung-do Island, and ssal-yeot (rice syrup) of Changpyeong. Yeots that contain various nuts and seeds are also very popular. While solid yeot is commonly enjoyed as a snack, sticky liquid yeot is used for solidifying traditional confections like gangjeong and jeonggwa or used in cooking as a condiment in place of sugar. In Korea, there is an interesting superstition about yeot. It is traditionally believed that eating yeot prior to an important test brings good test results owing to its stickiness. As a result, the old custom of offering yeot to examinees as a good luck present before taking a big exam still lives on today. Except for tteok, other confectioneries like yugwa, gangjeong, and yakgwa can be kept for a long time as they have good storability. This is because jocheong (grain syrup) has been added for sweet flavor. As jocheong is made by saccharification of grains, it acts as a natural preservative on its own. As for tteok, those who want to keep it for a long time can freeze it in small portions in the freezer and defrost desired amount of portions in room temperature before eating. Hwangnam-ppang was first made in 1939 during the Japanese colonial era in Hwangnam-dong district of Gyeongju, which is where it got its name. 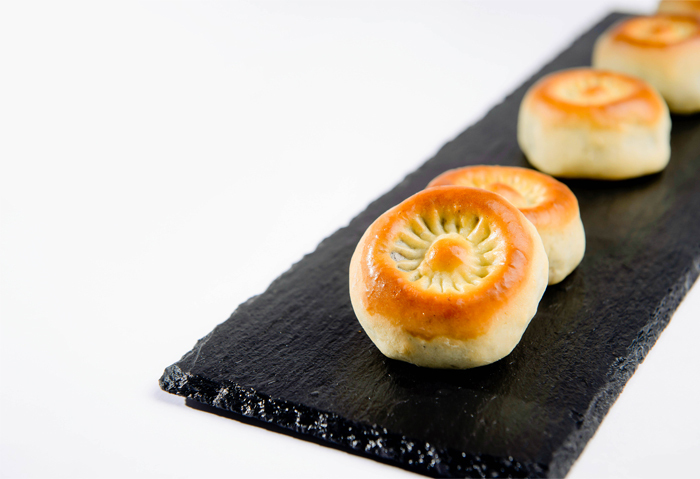 Wheat flour dough made by strictly adhering to the exact flour-to-water ratio is stuffed with a filling of red bean paste, then made round and flat and pressed with a comb pattern stamp for decorative effects. Finally, the dough is baked in the oven and the result is amazingly tender hwangnam-ppang with sweet red bean aroma. Hwangnam-ppang was designated as the Native Local Food of Gyeongju in 1994 and it is commonly considered one of the must-try local specialties for visitors to Gyeongju. Kkul-ppang, literally meaning "honey bread," was first introduced in the early 1960s, not long after the Korean War. It was originally made for sailors as a snack that can be stored for a long time without going bad even in the warm climate of Tongyeong. Kkul-ppang looks like a round donut covered in honey and is only moderately sweet despite its appearance. 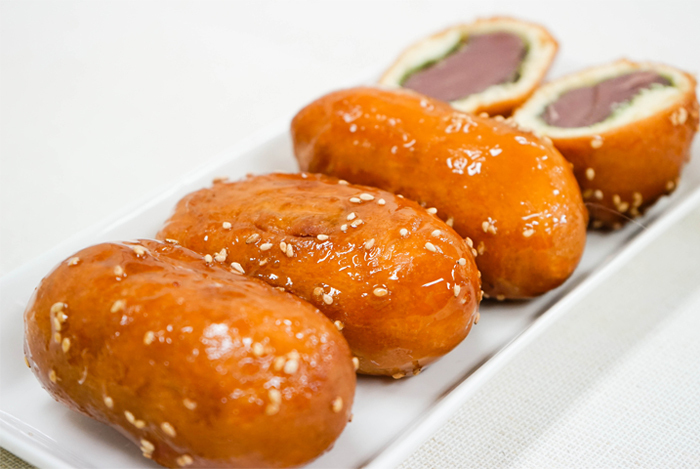 Wheat flour dough balls with red bean paste filling are deep fried and coated with sweet starch syrup to add gloss. The sweet kkul-ppang is about the size of an egg and it's sold across the city of Tongyeong in Gyeongsangnam-do. 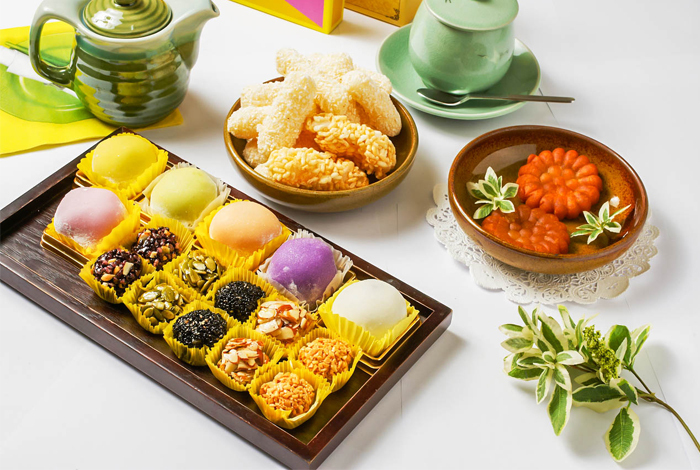 Nowadays, you can have the fun of choosing various flavored kkul-pang filled with other ingredients than the traditional red bean paste, such as sweet potato, chestnut, citron, green tea, and more. Jumunjin in Gangneung, Gangwon-do is a coastal region famous for squid (ojingeo in Korean). Accordingly, ojingeo-ppang became Jumunjin's signature squid bread. 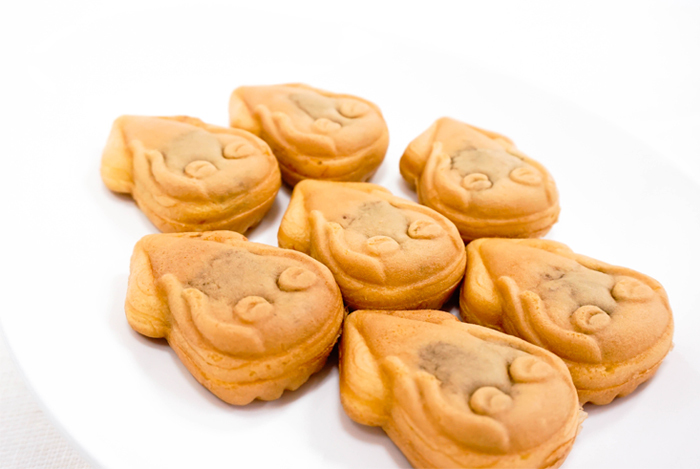 The cute squid-shaped bread is amply filled with red bean paste filling. What makes ojingeo-ppang distinct from all the other Korean bread filled with red bean paste is that squid powder has been added to the paste. As a result, it actually has the flavor and aroma of squid. It is best to eat ojingeo-ppang right after purchase, but those who want to keep it longer can put it in the freezer and defrost before eating. It is also a popular gift item since the cute looking treats come neatly gift boxed. Jjin-ppang is soft and fluffy steamed bun with red bean paste filling. It is particularly popular in the winter and offers the fun of blowing on hot, fresh-steamed bun. In Anheung-myeon, Hoengseong-gun, Gangwon-do, there is a small village called Anheung Jjinppang Village. Thanks to its geographical location as the midway point between Seoul and Gangneung, jjinppang made in this village became known throughout the country. Over the years, the village has become a must-drop-by destination among many visitors to Gangwon-do. 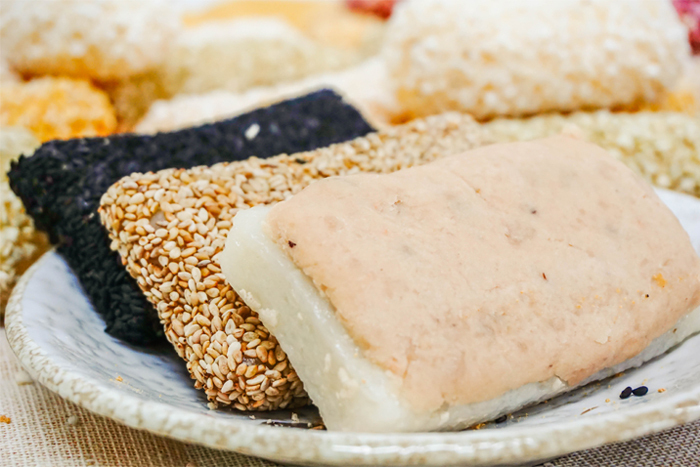 A local specialty of Andong in Gyeongsangbuk-do, beobeorichal-tteok is a large slab of tteok (rice cake) covered with various pastes, such as red bean, powdered bean, sesame, and more. There are two assumed origins of the name. Beobeori is a dialect of Andong that refers to a speech-impaired person and it is said that the old lady who made and sold this tteok had a mute son. Meanwhile, it is also said that its large size and mouth-watering taste make it difficult for people to speak while eating it, and hence the name beobeori. Although it is relatively crude in appearance, the delectable tteok, generously covered with a diverse selection of paste, is sure to captivate taste buds with a subtle sweetness. 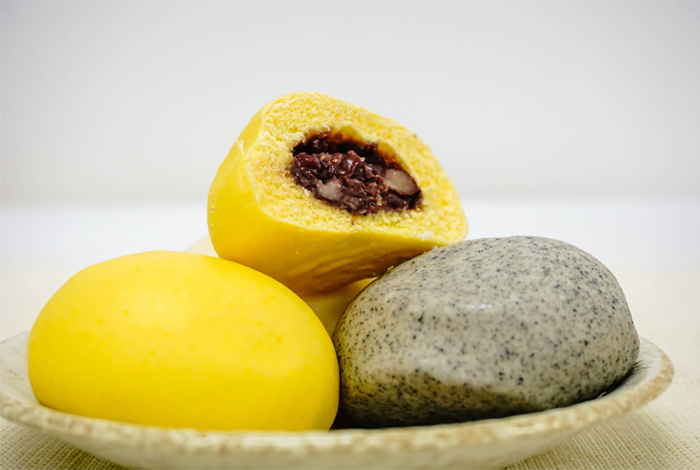 Omegi-tteok is a specialty rice cake of Jeju-do Island made by boiling round balls of glutinous millet dough and then rolling them in bean powder or mashed red bean. Mugwort is sometimes added to glutinous millet flour to add color and flavor. 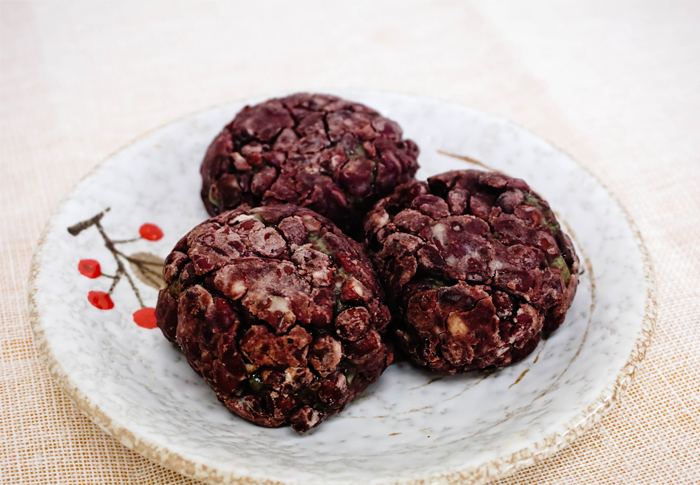 Although it looks rough and crude on the outside, a delightful blend of tender, yet chewy tteok and sweet red bean packs one's mouth upon a bite. Omegi-tteok can easily be purchased at Jeju's traditional markets or tourist sites and makes for an ideal gift as each ball is individually wrapped. Cheonan's signature cookie hodu-gwaja is wheat flour dough stuffed with red bean paste and locally produced walnuts (hodu in Korean). 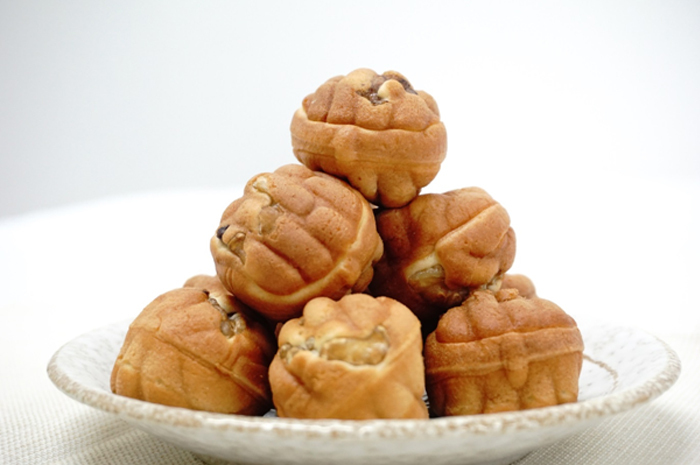 Large pieces of walnuts are embedded on the outer layer, while sweet red bean paste is filled in the inside. The actual shape and size of a real walnut add to the fun of eating this tasty treat. Originally a specialty of Cheonan, hodu-gwaja has gained a nationwide popularity and it is now sold in numerous locations across the country, including Seoul. Moreover, it is one of the all-time favorite snacks that invariably appear at rest areas along expressways. * This column was last updated in December 2015, and therefore information may differ from what is presented here. We advise you to check details from the official websites before visiting.